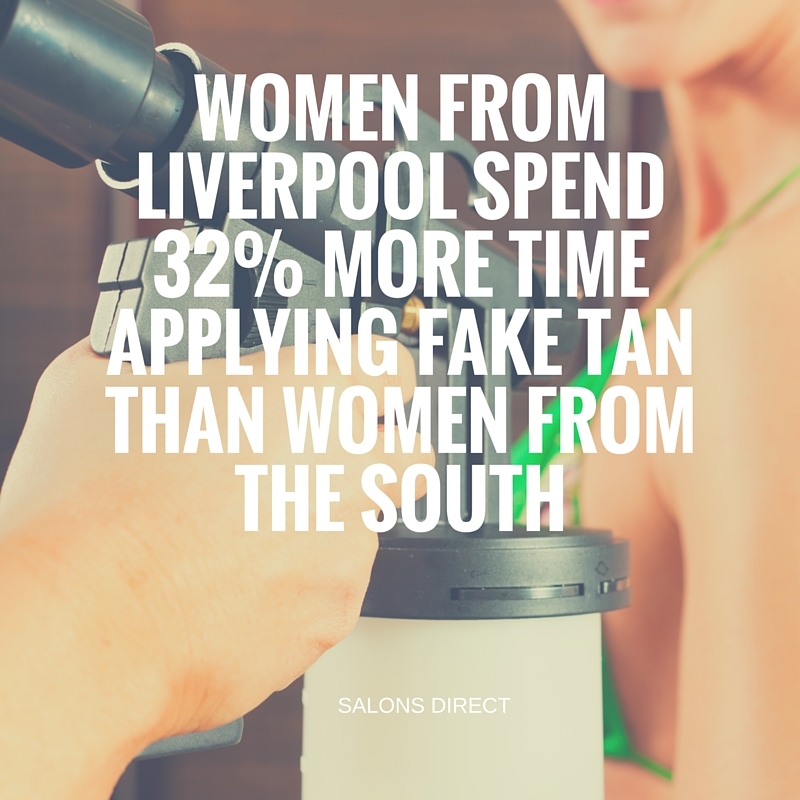 We’ve been doing a little bit of our own research and we’ve discovered that Liverpool is the fake tan capital of the UK! Hundreds of you have been telling us how long it takes you to get ready for a night out, including how long it takes you to do your hair, makeup and fake tan. We found that women in Liverpool spend longer on their fake tan when preparing for a night out than anywhere else in the country. The average time spent on fake tan clocks in at half an hour, which is nearly 20% longer than the national average, and around 32% longer than the average for the south of England. Women from Liverpool also spend more time washing and styling their hair than other places in the country, with an average time of just over 43 minutes. This is more than 10% longer than the averages of the north and south of England, and a whopping 32% longer than women in London. However, Liverpool women don’t spend as long applying make-up, spending just 24 minutes on it, 25% less time than women in London. When we created the tool, we didn’t really know what we’d find, but we were quite shocked by the results! It was clear that women in Liverpool seem to spend longer on their fake tan and hair but less on their make-up, whereas the stats for London were almost the exact opposite. Why this is, we’re not quite sure! Agree or disagree with the stats? Let us know in the comments. Do you want to take part? Tell us how long it takes you to get ready.